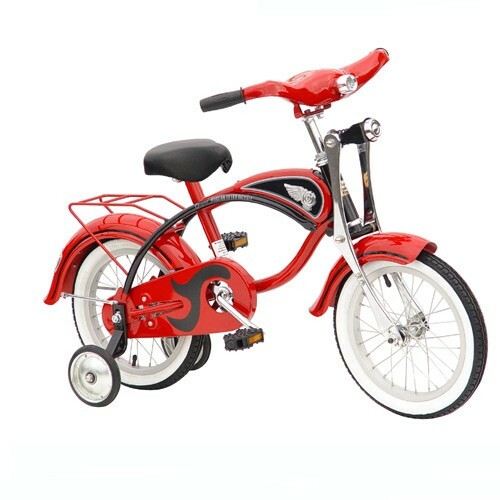 Sleek as a classic red Italian sportscar, this sweet retro bike is made of handcrafted steel and features chromed front fork with functional suspension, a supple leatherette seat, a charming battery operated LED headlight, adjustable handlebar and seat, include rear luggage rack, and durable chromed steel spoke wheels with air tires. The removeable training wheels with wide stance make this an excellent first bike. Adult assembly required, approx. 15 min.